AG materials Inc. is an emerging supplier of high quality and high purity titanium hydride (TiH2) powder. We have built a high-temperature-synthesis line with technology that enables us to provide high quality yet economical titanium hydride powder. Titanium metal is lightweight, hard, and corrosion resistant. Titanium's range of application is gradually growing in many fields. Titanium hydride powder can be used as Metal Injection Molding (MIM) feedstock or Powder Metallurgy (PM) base material. Our titanium hydride powder has hydrogen content greater than 3.85% by weight that is more than 450 liters of hydrogen in 1 kilogram of the powder. Therefore, it can be used as a high-purity hydrogen reserving material or as a foaming agent for aluminum foam manufacturing process. 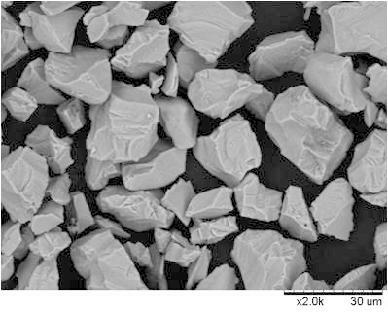 Titanium hydride powder can be used in thermal spray coating materials or various kinds of ceramics. It can also be used as a synthesizing material for alloys and inter-metallic compounds, as bonding materials (glass-metal, ceramic-metal, etc. ), as a hydrogen source for foaming metal, or as a de-oxidizer and de-carbonizer in powder metallurgy. 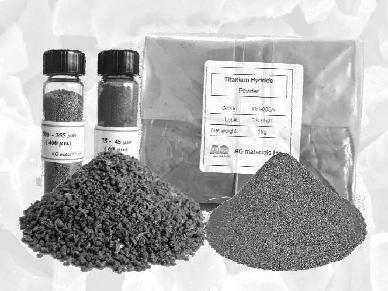 TiH2 is an excellent raw material for the sintering of parts used in aerospace, automobiles, marine applications, machinery, cutting tools, sporting goods, jewelry, or medical equipment. Titanium hydride is the raw material of titanium hydride-dehydride powder; powder-metallurgy; raw material of titanium carbide and titanium nitride; and material of reduction and hydride reservation.